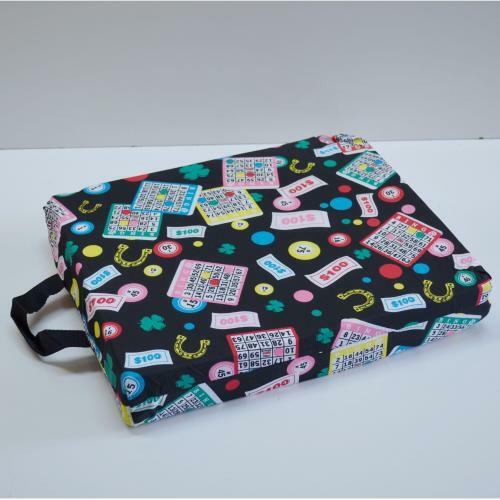 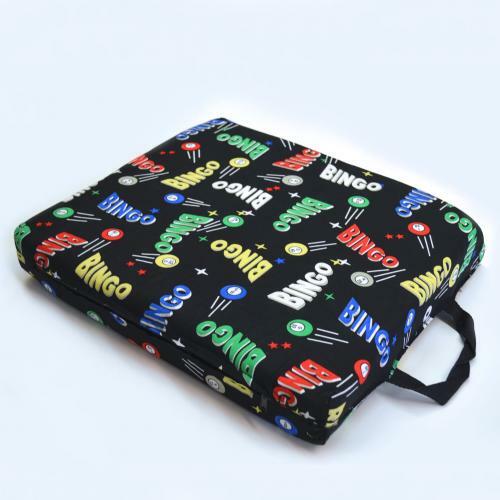 We offer a large selection Bingo Cushions and Dauber Bag. 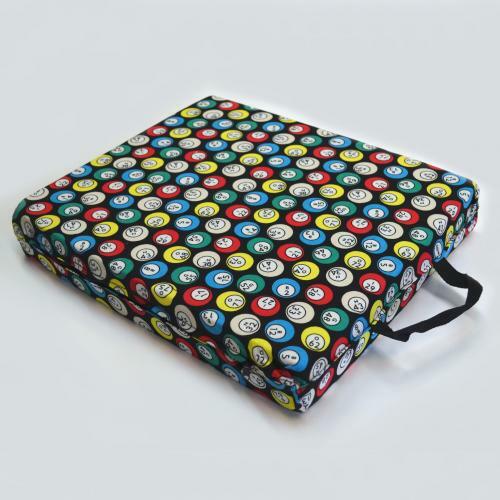 Made in the USA with the highest quality materials and craftsmanship, our single and double cushions are 3″ thick and each foam piece measures 14″ X 14″. 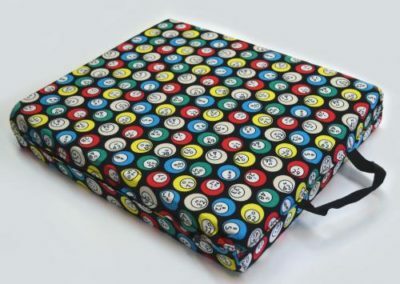 Covered with durable fabric. 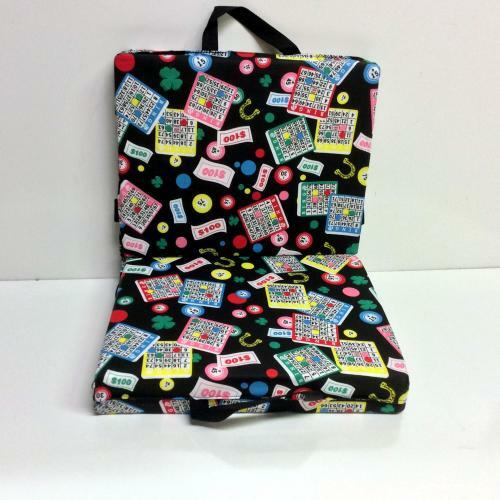 The back side of our double cushions have a handy tote pocket with velcro closure for bingo necessities. 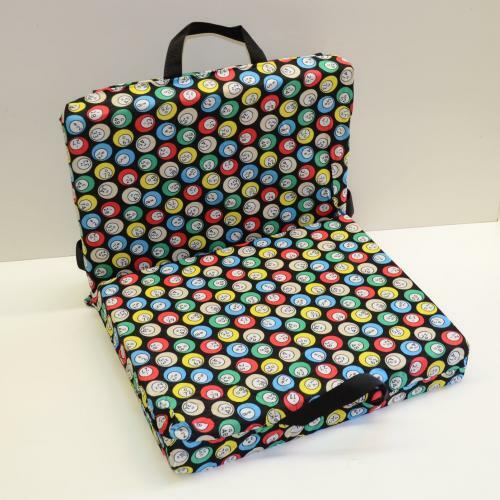 The adjustable flap fits securely over the back of chair or car seat. 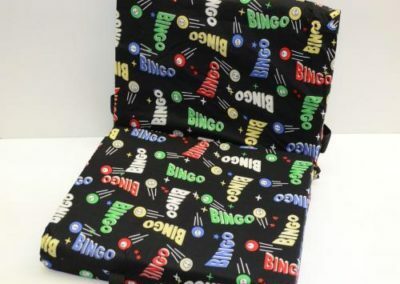 BINGO designer double seat and back large pocket, 14″ X 14″ X 3″, velcro for easy removing for wash, woven handle and folds for easy carry – Made In USA. 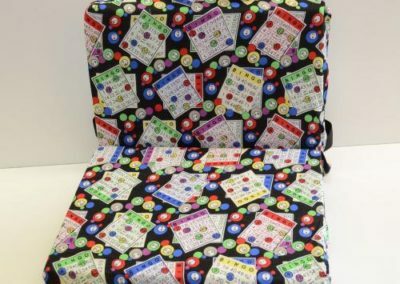 Available in black, red, green, blue and purple. 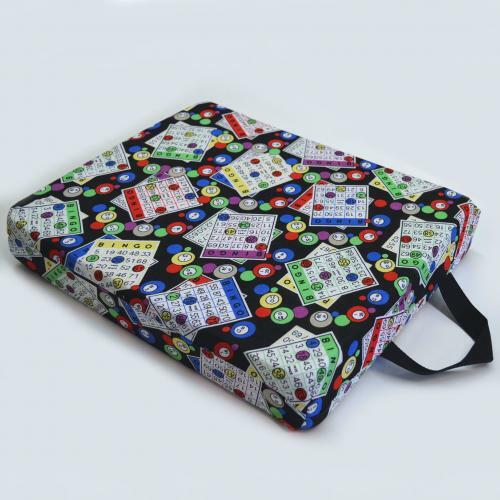 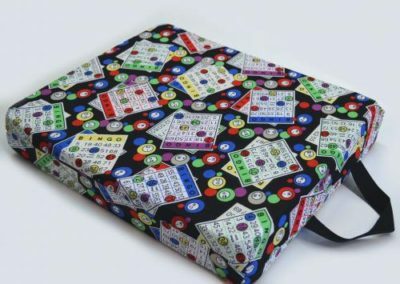 The Bingo Seat Cushion will add comfort and pizazz to your bingo game. 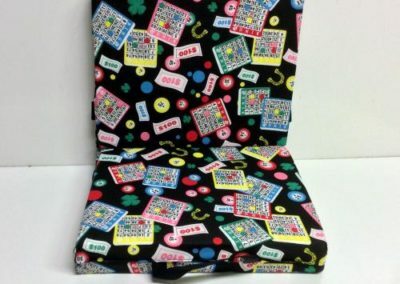 This cushion is made of fabric covered foam that makes even the hardest bingo hall chairs comfortable. 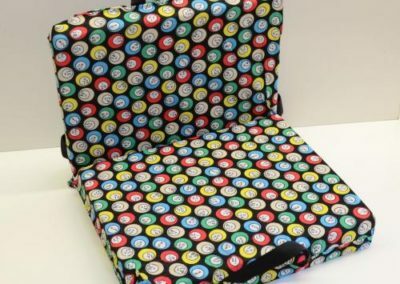 It measures 16.5”l x 14”w x 3”h. 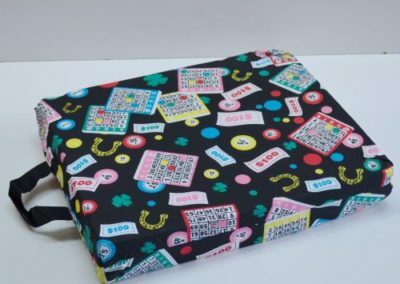 Matching set with a DELUXE Bingo Cushion and a DELUXE Bingo Bag, both made in the USA with the highest quality materials and craftsmanship. 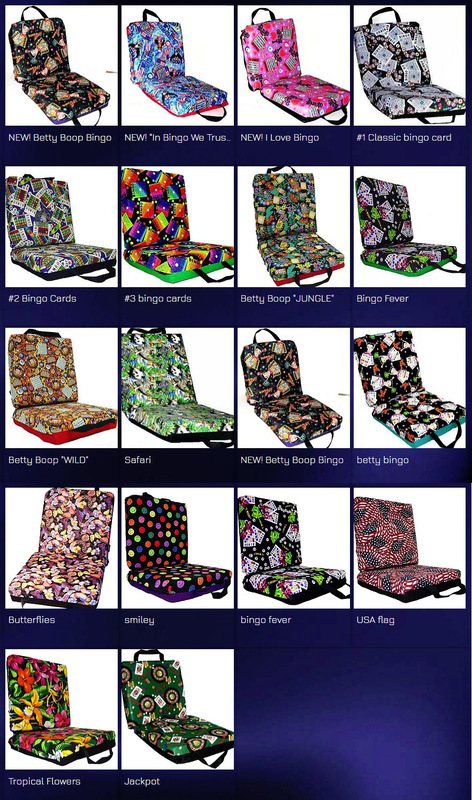 These are the originals that started it all. 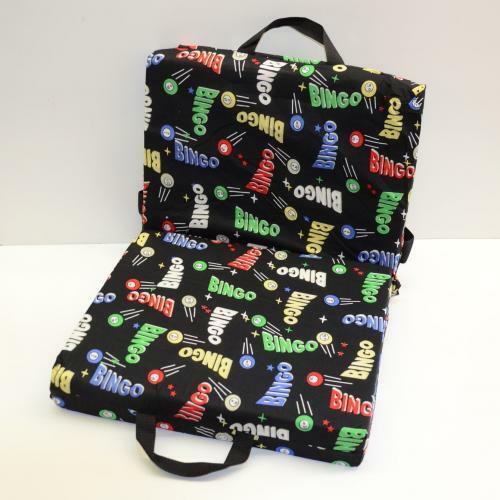 Bingo Cushion is designed to fit over the back of your chair, so it doesn’t fall down when you get up. 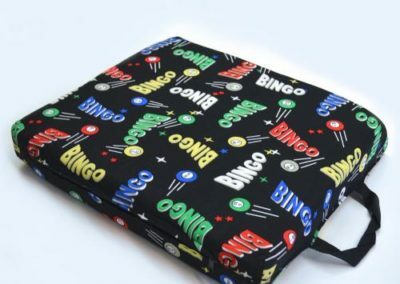 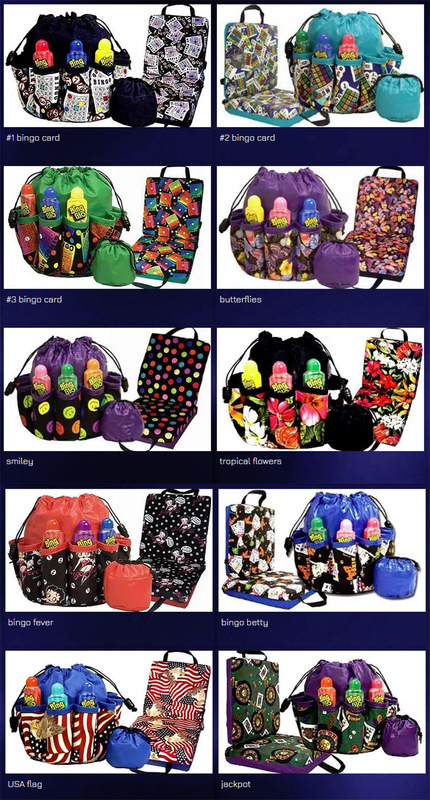 Bingo Bag has 10 outside pockets for bingo daubers and comes with a small purse for ships or coins.